A real sleeper effort from the Perse family, the 2004 Pavie has a dense, bluish purple color and a wonderful, sweet kiss of blackberry, licorice, spice box and roasted herbs. The wine is rich, deep, full-bodied and absolutely remarkable for the vintage. This is certainly a candidate for one of the wines of the year and seems still relatively youthful and promising. Drink it over the next 20 years. Tasted at the Fine Wine Experience’s Pavie vertical. 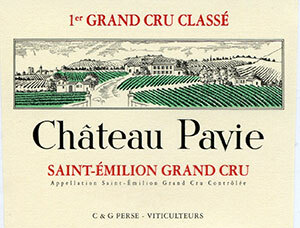 The Pavie ’04 has a gorgeous bouquet that is showing much better definition than the 2003. Very pure with luscious blackberry, date, liquorice and cassis aromas that soar from the glass. Very well balanced on the palate with a slight hardness on the tannins, but there is good acidity here, very dense to the point of being almost foursquare on the finish that lacks some complexity and has a brutish quality that is distracting at the moment. Tasted June 2010.